In February 2014, the Trustees of the Foundation awarded a one-off grant to Hall for Cornwall in Truro to fund their Youth Theatre and Young Script Writers project providing up to 175 places for young people aged 7 to 21. Weekly workshops aim to establish performance and writing skills, develop confidence and provide performance opportunities. 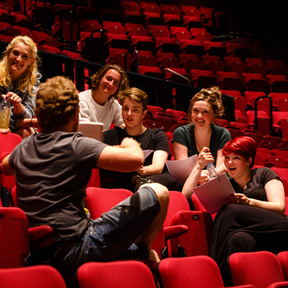 Hall for Cornwall was partner for productions with RSC, Stratford East, Sadler's Wells during 2012/13 and home for five Cornish independent theatre companies to house, mentor, support and grow artistic potential.